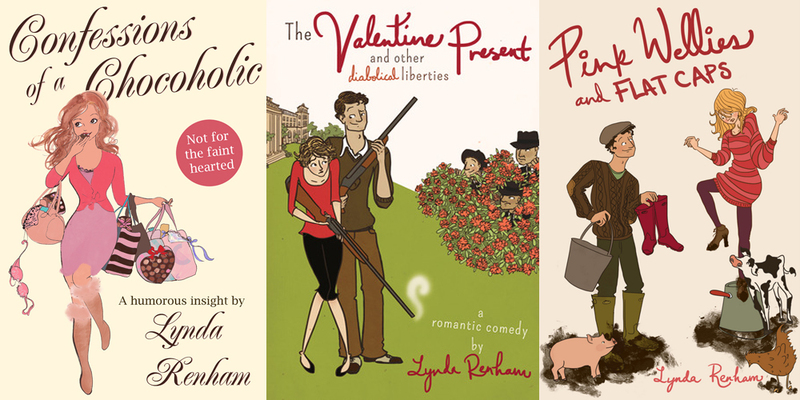 I’m very excited to have author Lynda Renham, queen of romantic comedy, on the blog today. After penning a number of hilarious rom-coms like “Rory’s Proposal,” “It Had to be You,” and “Coconuts and Wonderbras,” Lynda has turned her hand to writing psychological thrillers. Her first effort, “Remember Me,” recently hit the top ten in the U.S. thriller charts and the top twelve in the UK. Impressive, no? 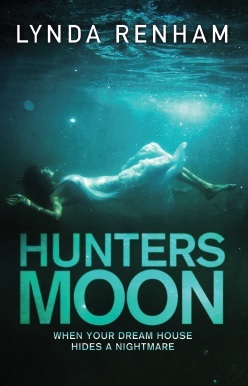 Her second book, “Hunters Moon,” is out now. Lynda has graciously provided an excerpt, and she’s giving away a free ebook of each of her two thrillers to one lucky reader. To enter the drawing, see details in her post, below. Thanks so much Katie for having me on your blog. I’m very excited to be talking about my new novel and why I chose to write another psychological thriller. I’ll write it, I thought. After all, I’m not getting anything else written. Once I get the idea out of my head, I’ll be able to write another comedy. There was no real plan behind the novel. I just needed to write but had no real ideas for a comedy. The book was released and I was convinced it would bomb. That no one would want to read a thriller from a romantic comedy writer. I couldn’t have been more wrong. The novel went to number nine in the US thriller chart and number 12 in the British thriller chart and it is still doing well. Was it hard to change genre? No, not really. The only difference I found was that a thriller needs a lot more concentration and attention to detail, especially where the plot is concerned. Of course, you also need different music when writing the novel. I always write to music and the music for my new novel ‘Hunters Moon’ was very scary indeed. One day I was writing a very spooky bit while playing extremely tense music. Suddenly the door of my writing room opened and I jumped out of my skin. It was, of course, only Bendy the cat, who got an even bigger scare from me. I never get that when writing romantic comedy. So, with ‘Remember Me’ finished. I thought about another thriller. People were asking for more and ‘Hunters Moon’ was born. I loved writing this novel. But I have to admit to missing the romantic comedy. There is something fun and refreshing about writing comedy. It makes you feel good. Whereas, when writing a thriller you have to go into a much darker place and I don’t always want to be doing that. I will certainly write another comedy. I have some in my head. Writing is a difficult occupation, I find. It takes a great deal of energy and I procrastinate an awful lot. But I’m proud of the two thrillers I have written. So, much so, that I’m giving away a free e book of each of my psychological thrillers to readers of Kathy’s blog. All you need to do is share this blog posting on FB and Twitter. Be sure to tag me and Kathy in your posts and you’ll automatically be entered into the draw. I’ll close it on the 10th October. Here is an extract. I hope you enjoy it. He gave her a disapproving look. He threw her handbag on to the bed, the contents spilling out on to the floor. She sighed and leant down to pick them up. ‘I’m going to give it up,’ she said, tapping a cigarette from the packet. He checked his reflection in the dressing table mirror. Satisfied, he grabbed his wallet and phone. ‘Do you have to go?’ she asked sullenly. She hated herself for pleading. Worse still, she despised herself for being in this situation. He leaned towards her and gently kissed her on the lips. ‘I’ll be in touch,’ he said as he turned to the door. There was something in the way he said it, the offhand tone in his voice. ‘I’m pregnant,’ she said. She hadn’t planned on telling him like this but what was she supposed to do, she thought. She probably wouldn’t see him for weeks. He stopped, his hand frozen on the door handle. She waited, her heart hammering in her chest. It seemed an eternity before he turned. ‘But you’re on the pill,’ he said finally. ‘I think I missed a couple,’ she stammered. The lie slid easily off her tongue. ‘Is this some kind of joke?’ he asked, his eyes hardening. His lip curled in disgust. She shook her head. 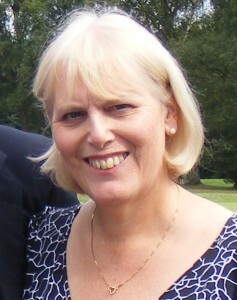 Wisps of blonde hair struggled to escape the neat bun at the nape of her neck. She held her arms out to him but he ignored them. She suddenly felt vulnerable and stupid and covered her breasts with the sheet. She stubbed out the cigarette and climbed from the bed. He watched as she elegantly pulled on her clothes. His face softened and he stepped towards her. She pulled back, the words cutting into her. ‘For Christ’s sake,’ he said angrily, letting her go. She stumbled and fell on to the bed. She stood up and clung on to his arm. He opened the door and stepped out to the landing. This wasn’t how she’d imagined it. She rushed out after him and grabbed his arm. He shook her hand roughly from his arm. Anger engulfed her. How dare he dismiss her like this? ‘I’ll tell her,’ she said menacingly. His face darkened and for a moment she felt afraid. ‘Don’t threaten me,’ he warned. ‘Please,’ she begged, ‘let’s just talk about it.’ She gripped his arm with both hands. She stumbled and struggled to regain her balance. She flailed for something to cling on to but there was nothing. He stepped forward to take her arm but in her fear she grabbed him roughly by the shirt. He was pulled forward and had to reach back for the banister to stop himself from falling. When he reached out for her again, it was too late. ‘No,’ she screamed, her eyes wide with fear. He watched in horror as she bounced unmercifully down the stairs. The brutal thumping of her body against the steps seemed never-ending. The shrill ringing of his mobile made him jump. He ignored it and stepped slowly down the stairs. She wasn’t moving. He could see, even before he reached the bottom, that her neck was broken. I wake with my heart pounding. I look around the room with bleary eyes and exhale when I focus on the familiar outline of the dressing table. My hand rests tenderly on my abdomen and I remind myself it was just another dream. Even kicking the duvet off doesn’t stop me from sweating and I wipe the perspiration from my forehead. Then I feel it, the all too familiar cramping. I close my eyes and try to ignore it, pretending it isn’t happening but ten minutes later it is all-consuming and I feel the dampness between my legs and have to fight my disappointment. With a heavy heart I stumble in the darkness to the bathroom where hunched over the toilet I let the tears flow. The silence of the night seems to suffocate me and the feelings of loss are too much to bear and sobs take my breath away. Why? I plead. Why us, why is this happening to us? Finally, I reach into the bathroom cabinet and remove the tampons. Maybe next month I tell myself. Maybe next month you’ll be in a new home. Surely a new beginning can only mean good things. Carefully closing the bedroom door, I slip back into bed and hug my sore abdomen. The painkillers will work soon and I’ll get back to sleep, but I know the disappointment will be even harder to bear in the morning. I remember the dream. I’d been pregnant. I could feel the baby moving inside me. It had seemed so real. I pull my knees up to my chest and close my eyes. It hadn’t been real at all. This entry was posted in Lynda Renham, Psychological Thriller, Romance, Romantic Comedy, Writing and tagged #TuesdayBookBlog, #TuesNews, Katie Oliver, romantic comedy, Writing on October 3, 2017 by Katieoliver.